A delicate room sofa or couch is so damn important for a well organized place. If this place is lacking a proper sitting plan this fails to be called a proper place to live in. 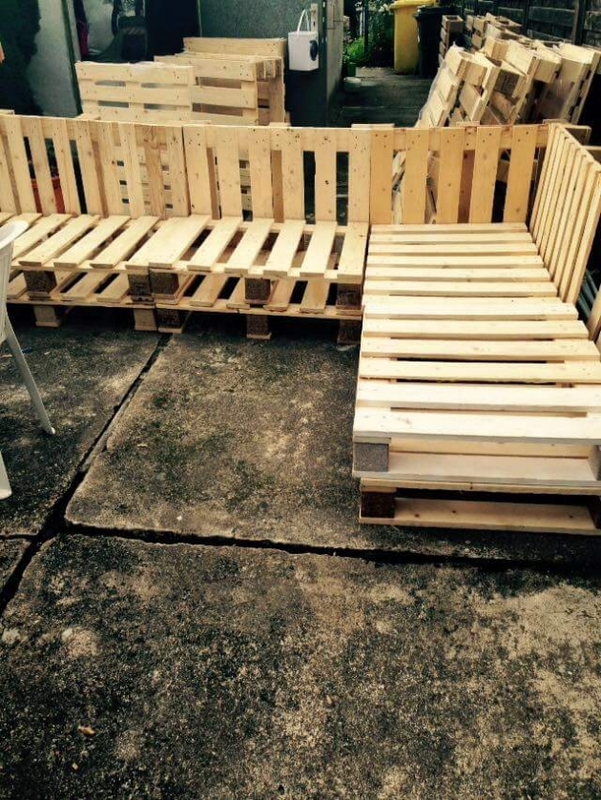 so just to make your place worth living we have brought you a DIY recycled pallet made corner sofa. As it would be DIY article so we would be giving you some very basic tips or a glimpse of the whole procedure which is so damn handy to execute. First of all we would be talking about the things that are needed during the process. 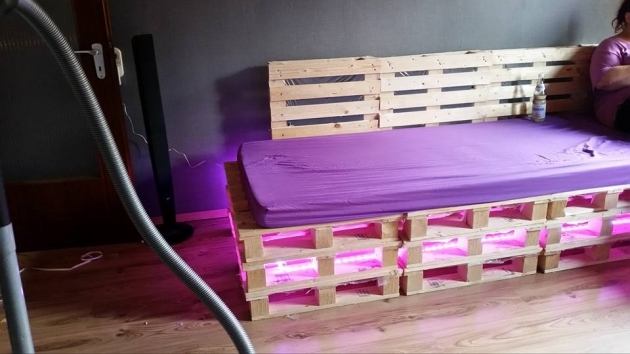 A bunch of fresh wooden pallets. Hammer and miter saw for cutting. And a number of accessories that would be used as a precautionary measures like a pair of leather gloves and some huge goggles to put on eyes while working in the workshop to prevent your eyes from any expected peril. From here we would be starting. 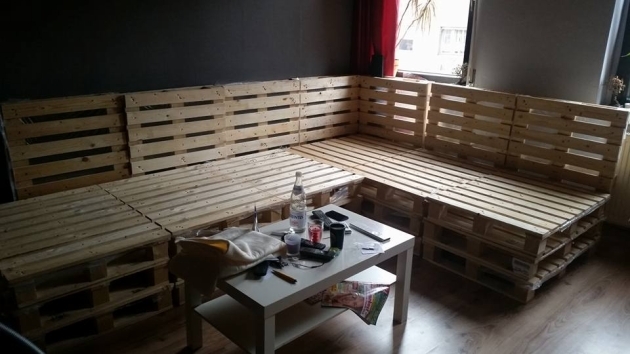 As here you can see that mere whole wooden pallets are put one on another to make the basic seating space of the sofa, and single layered pallet planks are fixed on the back to make a rough structure. After making the basic structure now we would be turning towards the final touch. 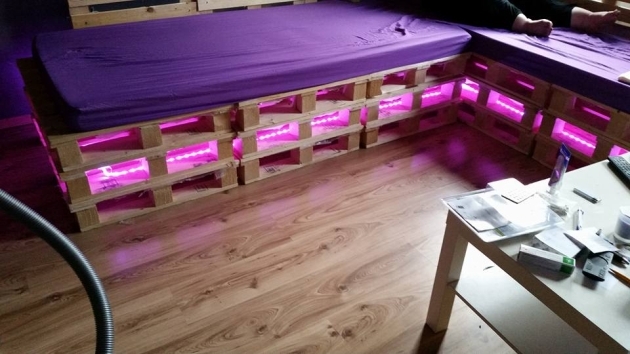 The pallets are very well nailed and screwed down with each other, and to ensure the durability they are further layered with the adhesive glue of high quality. 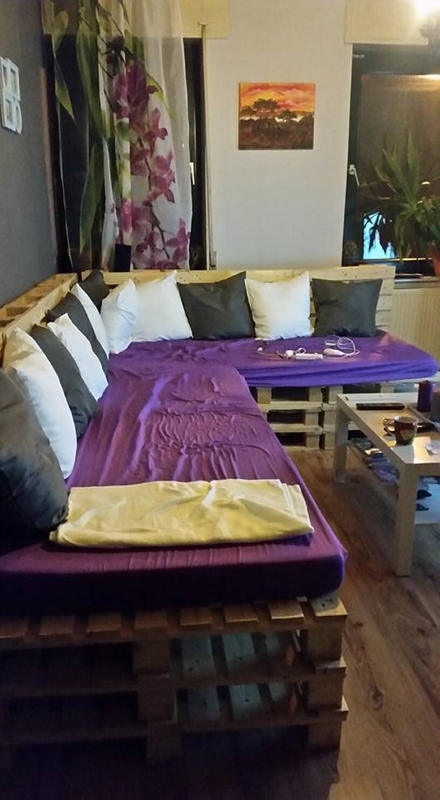 After being dried out, the entire texture of the pallet wood corner couch is smoothened up with the sand board. Very fine sanding is done at each inch of the pallet corner couch, and the corners are also rounded off very smartly. And after the final sanding they are just left unstained in their pretty rustic color. And at the end, here comes the segment of decoration and embellishment. 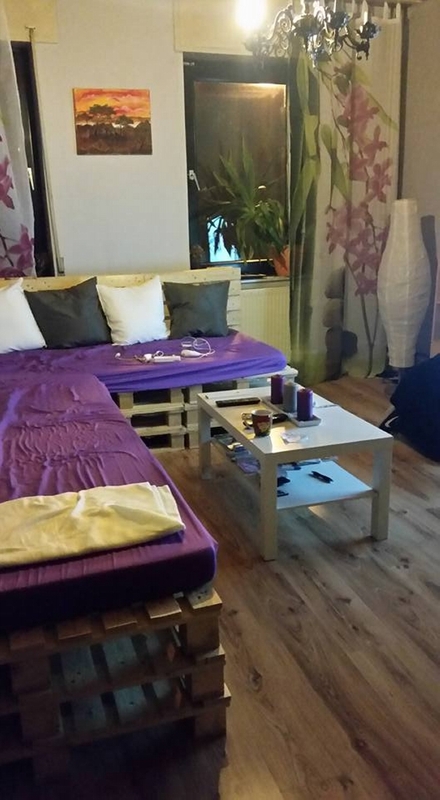 As we know that we just can not sit on the plain wooden pallet couch as it could hurt us or wouldn’t be comfortable. So we have made smart selection of couch cushions made with leather and filled in with polyester which is a known comforter worldwide. 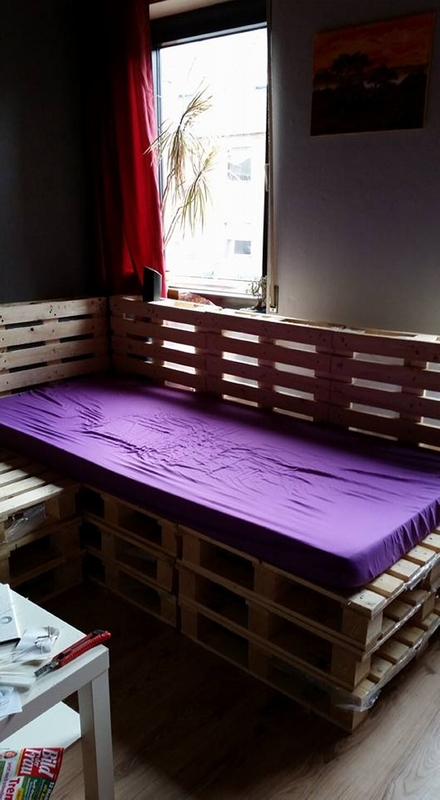 Plus the seating area a covered with the extra smooth mattresses, and after the decoration this pallet wood corner couch is all set to be used. Place it in your lobby or TV lounge which ever is relatively bigger.